Lunches. I really despise making them, coming up with them, and grocery shopping for them. It's just not my favorite part of meal planning for the week. So if there is something that I can put together on a Monday, and eat all week, then I'm a happier camper. Anyone else feel this way? 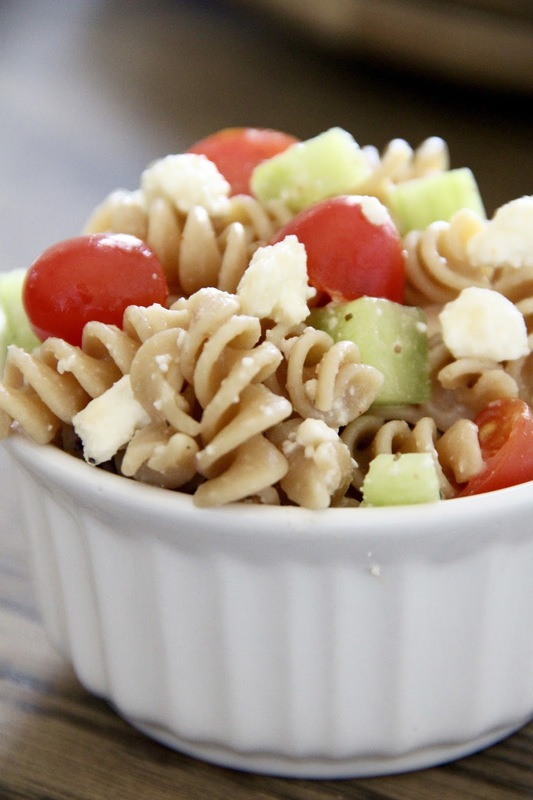 One of my springtime favorites is cold Italian pasta salad. It's easy, calls for five ingredients, takes little time to prepare, and stores well in the fridge for the work week. The inspiration for this lunch came from a friend who dropped off a cold pasta salad after Greer was born. From then on out I've kept this in the lunch menu rotation during the warmer months. Boil the noddles according to the box directions. 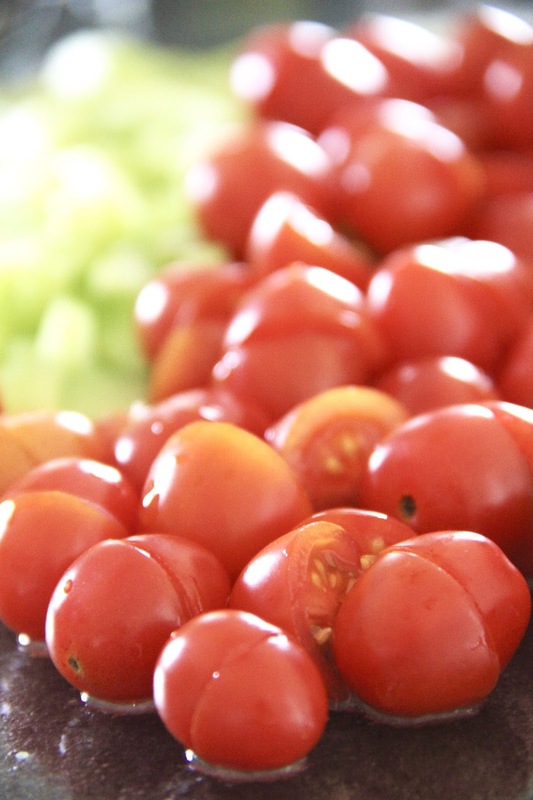 While the noodles are cooking, halve the tomatoes then peel and dice the cucumbers. I cut out and toss the cucumber seeds. Once the rotini is done, drain it and put in a large bowl. 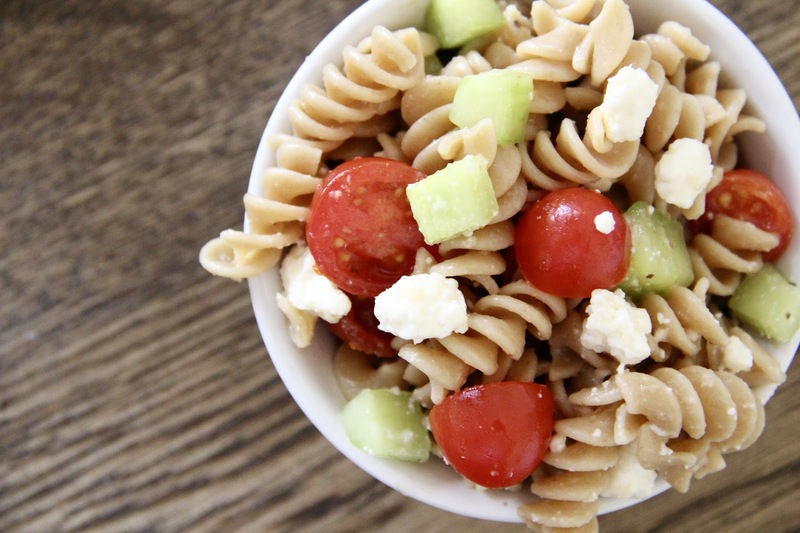 Add the grape tomatoes, cucumbers, and feta cheese. Toss. Slowly add the Italian dressing, stirring as you go. Add to taste. 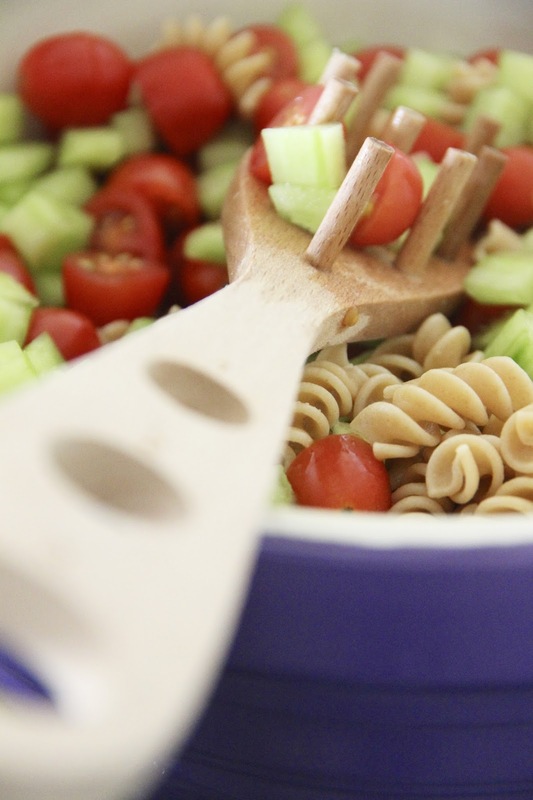 Do you have a cold pasta salad you love to serve up? I'd love to know! Drop the link to your recipe or recipe you go back to all the time in the comments!